Not sure about what to watch this weekend on Netflix? Don’t worry we have you covered! Some may find the controversial show mildly relatable and if you’re an oldie music buff then this is just right for you as Spike Lee brings all our old songs as the soundtrack. A black teenager is accidentally hit by a car and left injured by a car which is driven by a white police officer. When the police arrive on the scene, they assume he is dead and decides to cover up the accident. The accident leads to K.J. Harper who is a detective to investigate her suspicions as she is torn between the side of the law and the side of racial tension. It’s definitely rewarding watch a black woman act as a tough character and real societal issues. This is definitely one series you have to watch if you currently haven’t started. Late last year the season 3 was added to Netflix to the delight of anticipating fans. The plot revolves around a strong, black woman called Annalise Keating who is a lawyer with her own firm. We watch her navigate the murky waters of love, solving or failing to solve cases and of course, letting her teach us precisely how to get away with murder. Viola Davis makes for a very convincing character as she plays the lead role of Annalise Keating and can we just note how binge-worthy this series is? Santa Clarita Diet most likely shouldn’t be watched alone, late at night. It’s a comedy and horror series which shows an average couple’s lives upturned when the wife, Sheila Hammond when she turns into a zombie that craves eating human flesh. It’s very hilarious and the plot largely shows how she navigates the world she has found herself in alongside her husband. If you haven’t watched it, there’s no better time like now. Okay, I may have kind of lied here. The Spanish series, which has English subtitles, revolves around a group of thieves and their mastermind, Professor, who all plan to rob the Spanish mint factory. The story is told from the perspective of mostly Tokyo the narrator who is one of the thieves and evidently guides us through the plot. She’s strong, badass and won’t settle for being told what to do. You’ll definitely be seated at the end of your bed watching things unfold with suspense injected into it. Plus, it has Part 1 and Part 2 (rather than seasons) which gives you a ton of closure. 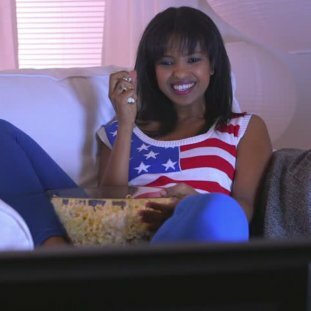 0 Response to "5 Netflix Series With Strong Female Leads To Binge-Watch This Weekend"